Service: From 5 November 1974 to ? 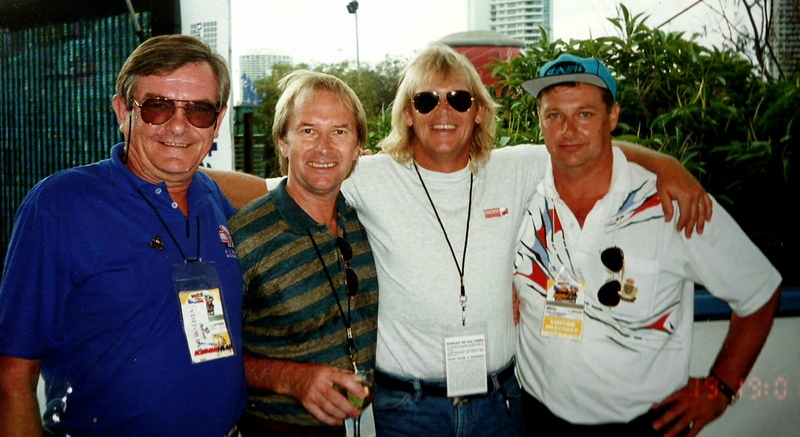 Ziggy Stengelis, Glenn Wheatley, John Farnham and Shaun Edwards at the Indy Grand Prix on the Gold Coast, Qld,1994. The four of us spent three days and two nights together….what a trip! at 2120 hrs on Tuesday 28 August 2012 after along illness. Stan joined the Army in September 1962 and after recruit training was allocated to Armoured Corps. He transferred to RACMP in December 1964 where he served until his discharged in September 1974 to join the NSW Police Force. 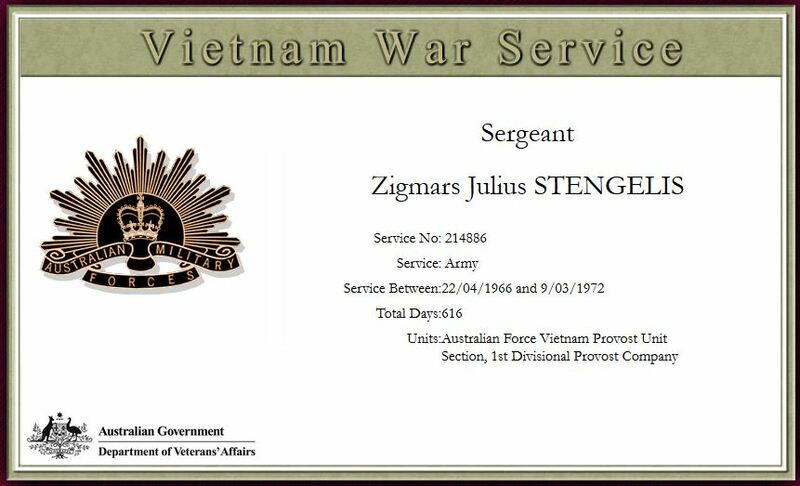 Stan served in S Comd Pro Coy Abbotsford Vic, SIB Melbourne, N Comd Pro Coy Indooroopilly Qld. Stan had two tours of Vietnam in 1966 / 67 and again in 1971 / 72. Stan was a good digger who enjoyed spinning a yarn over a beer with his mates. He will be fondly remembered. This passenger list contains individuals and families that migrated to Australia after World War II from various European Countries including Germany, Hungary, Russia, Ukraine, Latvia, Poland, Czechoslovakia, Romania, etc. Most passengers are World War II refugees or displaced persons.